I am told supermarkets made their rise primarily because they made many stops into one. Instead of hitting the butcher, the farmers market and the dry goods emporium, folks could get it all in one shot. 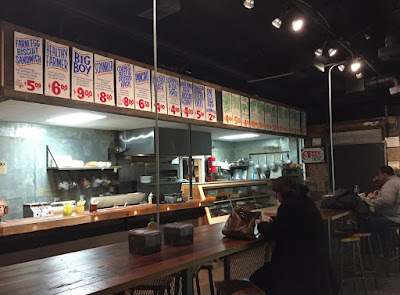 While I am a strong advocate of shopping at specialty vendors (ie I love going to a butcher), in practice I absolutely see the value in convenience, so when quality small businesses team up to share a location, my heart soars. 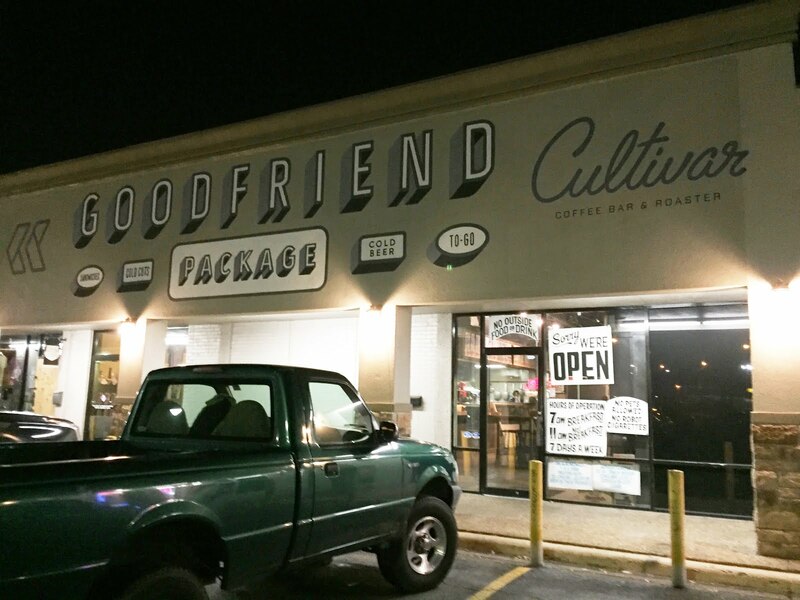 Such an example of two entities teaming up to form a culinary megazord is the joint venue of Cultivar Coffee Bar and the Goodfriend Package Store. 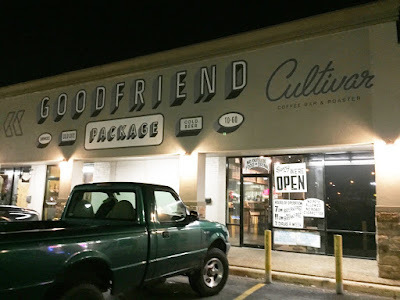 Located on Peavy Rd in East Dallas, this is a tremendous one-stop food paradise, where one can grab excellent coffee, a hearty meal and an armful of bottled beverages. The interior is full of high top tables, high ceilings and green pea walls, making for a spacious yet cozy space for all patrons. 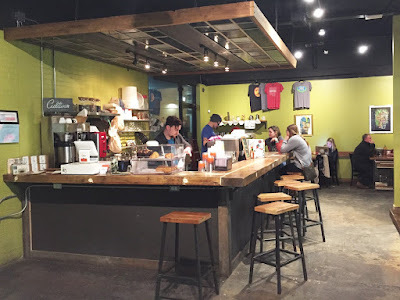 Making my way to the coffee counter, I ordered up two El Salvadors; for my espresso I had Cultivar's El Salvador Red Bourbon and for my pourover, I decided on their El Salvador Las Mercedes Pacnamara. Pulled short/medium with brown crema, the espresso sang sweet notes of citrus, caramel, chocolate, biscuit, wheat ale and a little romaine. In similar deliciousness, the pourover dripped strawberry, chocolate, sugar cookie and oolong tea, making for a super sweet and smooth light-bodied brew. After vanquishing my drinks, I had to bid adieu to an excellent experience at Cultivar and Goodfriend. 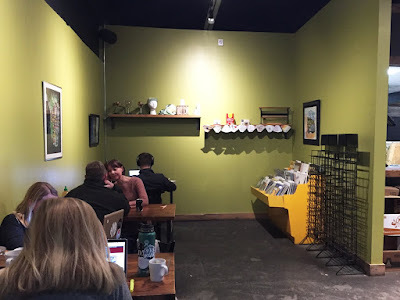 If you happen to live nearby or you're in the area, consider yourself fortunate to have such an excellent option for coffee and vittles. These wonderful folks made this visit possible in part. Make sure to check them out! I am amazed at the way you write your posts on coffee. Will follow your blog regularly. Thanks a lot!Kona Coffee is the original Taste of Aloha! Grown in Hawaii, in the Kona Coffee belt, 2500 feet up the side of Mauna Loa, the world's largest active volcano. The Kona Coffee belt is a tiny strip of land, barely 1 mile wide and less than 30 miles long. The combination of rich volcanic soil and Hawaiian sunshine produces one of the best coffees in the world!